It’s obvious: Canada is beautiful. There are so many gorgeous places to explore in our country. Surprisingly, some parks, lakes, and breathtaking views are overlooked for more well-known destinations. Much like how the cast of our new Mythbusting Series sheds light on common misunderstandings about the RV lifestyle, we are here to shed some light on the lesser-known outdoor destinations we think you need to see at least once in your life! Here are 5 overlooked (and underrated) destinations in Canada. All you have to do is plan your trip! Explore the Great Northern Road (Trans Canada Highway) if you like blue-green hues and lakeside views. Lake Superior Provincial Park is on the road less travelled between Thunder Bay and Sault Ste. Marie. The highway winds between Ontario’s mountains of the Canadian Shield and old trees. Lake Superior – the largest lake in the world – is visible from the highway at times, but the best view of the water is from the beaches. The Agawa pictographs are a must-see for hikers who like a historical adventure. The trail to Agawa Rock is difficult and steep, following along the shore of the Lake Superior. For a more relaxing afternoon, hang out on Agawa Beach. There is plenty of camping to choose from, as well as activities like hikes and lookout points—both near the highway and a bit off the beaten path. Trust us—this place is worth the drive! Gros Morne National Park in Newfoundland and Labrador is home to the Tablelands, which is a meeting place for ancient sea floors and the earth’s mantle exposed millions of years ago by clashing tectonic plates. Cliffs tower over the glacier-carved fjords now accessible by boat. This UNESCO World Heritage Site offers landscape views unlike any other in Canada. There are quite a few campgrounds in and around the National Park. If you don’t live in Newfoundland, but want to catch these views for yourself, we have a few tips for planning an extended road trip to help you out! Fact: Not all of the prairies are flat! The Cypress Hills are nestled between Alberta and Saskatchewan. The interesting ecological history of this area has attracted a few archaeological projects. Findings show that humans existed in the area for more than 8500 years, and the hills themselves are known as an erosional plateau having never been glaciated. History buffs love to explore Fort Walsh, one of the earliest western frontiers of the North West Mounted Police. There are over 10 campgrounds between the three main sections of the park: the Alberta side (Elkwater), the Centre Block (between Medicine Hat and Swift Current) and the West Block Wilderness Area. A hidden gem in the Canadian Shield of Eastern Manitoba, travellers find Whiteshell Provincial Park. Campers love to hike and canoe between the cliffs and valleys. Wildflowers grow rampant wherever they can take root, and the history of the area is fascinating, too. Look for Petroforms throughout the park, which are rocks laid on the bedrock centuries ago in the shape of animals for Aboriginal ceremonies. The Lily Pond—a natural wonder visitors have to see for themselves—is located within the park boundaries. Cliffs surround the Lily Pond which fills with its namesake flowers each year. If you know what a Dark Sky Reserve is, you know you need to go at least once in your life! These areas are known for their lack of light pollution – making the place perfect for stargazing. Minimizing the light pollution in Mont-Mégantic International Dark Sky Reserve is a joint effort between the municipalities within the boundaries. 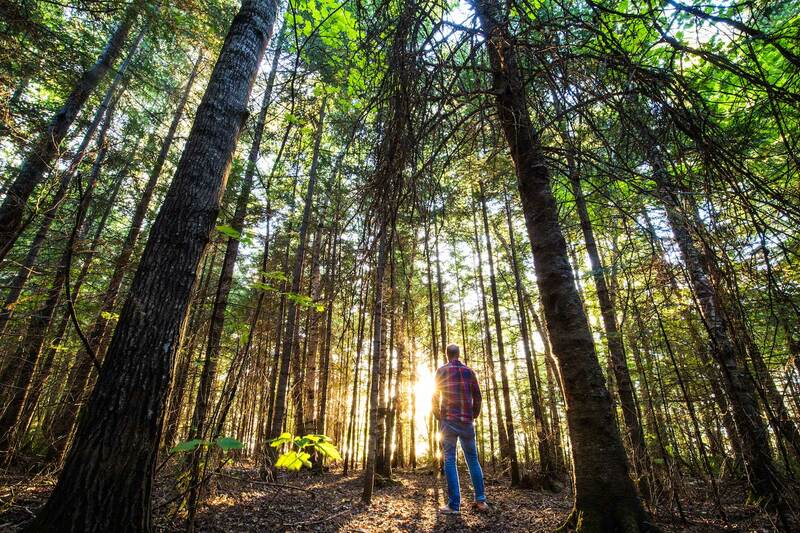 At the heart of the Dark Sky Reserve, outdoorsy people play in Mont-Mégantic National Park. During the day, hike the many trails spotted with scenic lookout points over the Eastern Townships. At night, the stars align for visitors to ooh and aah over. Join our community on Facebook, Twitter, Instagram and Pinterest to tell us your own hidden gems!